An image found by Teresa and posted on FB. LOL! For those who don’t know May Arts, you are in for a TREAT! Isn’t this just yummy! I divvied it into FIVE prizes so five lucky winners get to play with some of this beautiful ribbon! Read on to find out how you can qualify to win this fantastic prize! THANK YOU, MAY ARTS! Make a beautiful Christmas cards for our heroes to write home on – OR an AnyHero Christmas card, and make sure you have ribbon on it! You might want to check out the Fork Bow tutorial for this – it makes great flat ribbons for our cards so they go through the mail well! You have one week to get your card made, posted, and linked up at the end of this post; we’ll announce the winners Monday the 26th. The first 4 bags of ribbon go to 4 randomly selected cardmakers who link up a card. See the second-chance below to find out about that 5th bag! Leave a comment on this blog post – and tell us what YOU want to tie up in a bow for someone this Christmas! We’ll pick from commenters to win the 5th bag of ribbon! PS your reward for reading this far: another prize. Wowzers… This is some gorgeous ribbon! Thanks, may arts! For Christmas I'd like to wrap up a new fishing pole for my dh and my youngest's first fishing pole. She'll be 2.5 next summer and she loves sitting on the dock and just holding her sister's pole. Love that red/green combo ribbon! I would like to tie up a gift for my son and DIL that has eluded the whole family tree for at least two years now. It is a personalized washers game (name routed in the side of the case) that is just like one her godmother has had for years. WHOA!! That is beautiful ribbon!! Gonna be checking out their selections!! I'd like to tie a ribbon on a gift card this Christmas for someone I know who is in need and will get nothing for the holiday. I want to tie up Star Wars Lego Clone Wars for my hubby this Christmas. 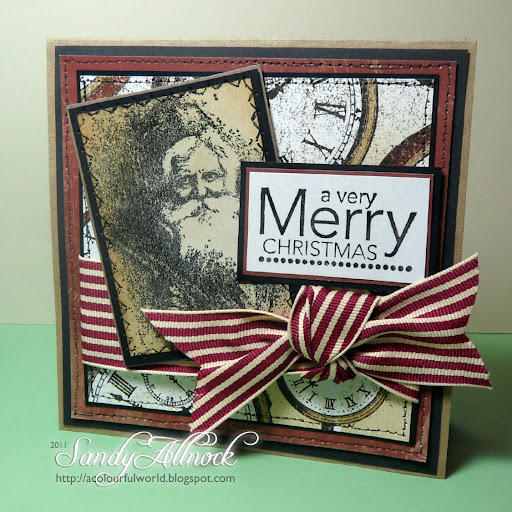 Beautiful cards Sandy! Beautiful ribbon. Thank you May Arts! I would like to wrap a red Radio Flyer wagon in ribbon for my daughter so she can pull my 2 adorable little grandsons around in it. Beautiful Cards, great ideas, beautiful ribbons! I love ribbons for all kinds of things, but I think for this Season of Thanks, I'd love to weave a ribbon through a hat for my granddaughter who is having surgery this next week – for a brain tumor. I too am going to have to check this company out. I just love ribbons.I tie up a time together with my family. With all of us working crazy schedules and living in different cities and states time together can be hard to come by. That kitty is too funny! I love the vintage look of the Santa card. 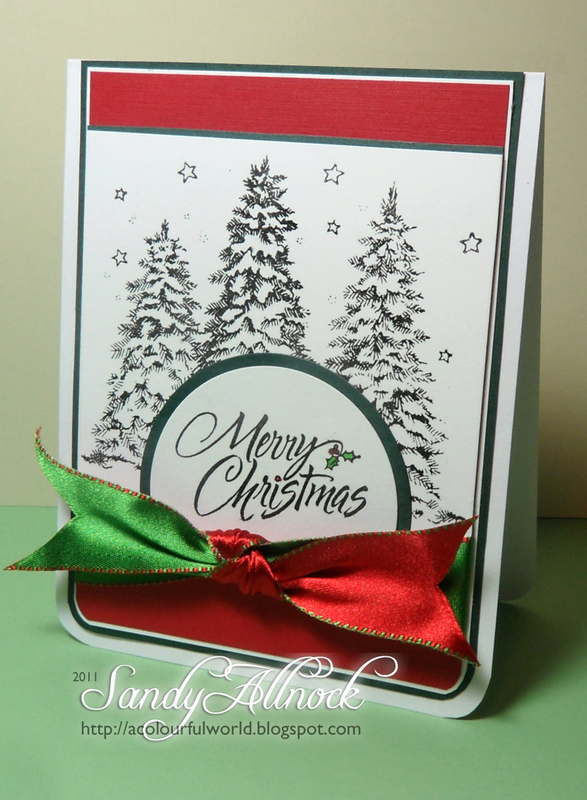 I never manage to make cards in that style, but I appreciate when others make them. For the holidays, I would love to tie up some relaxed down time for my relatives, even if that would be difficult to tie up with ribbons! The ribbon is the icing on the cake. (the best part) Love the cards. Many thanks to May Arts for sponsoring this challenge. 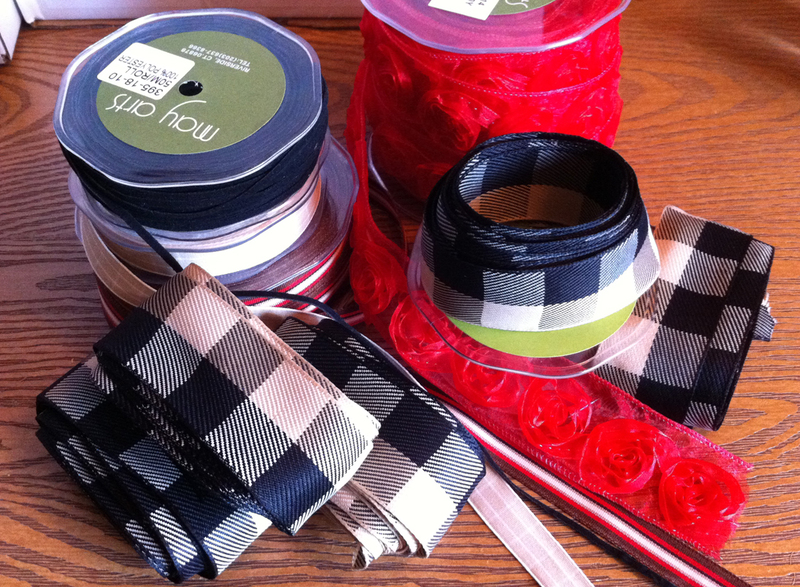 Their ribbons are just luscious and will make some gorgeous cards and gifts. Had to go visit the May Arts blog and leave them some love when I found out they supply my favorite Christmas ribbon of all time! Don't know if I'll have time to get a card done for today's challenge (sob, sniff), since the work world seems to have me at its mercy. 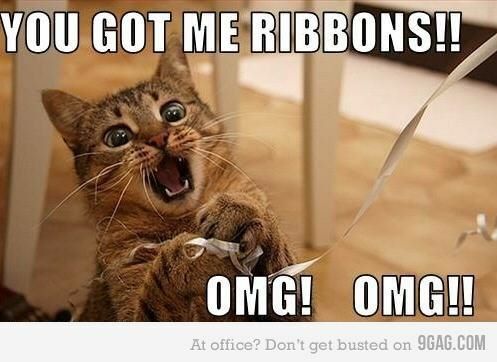 But I'm excited to find that particular ribbon again. Such beautiful cards! Wow! I would tie up with a bow….. good health and remission from breast cancer for both my little sister and for my niece. I can't believe I forgot to include my link :(I would tie myself up with a ribbon and take myself home for Christmas to mom's. I would use the ribbon to tie a bow on gifts for my niece, my new godchild and my new grandchild!! My niece is going to be 2 this year, but we were asked to be godparents and learned we were going to be grandparents all in the same week!! So we have plenty of spoiling to do! !